I've been so into drugstore / affordable makeup recently. The new launches have been incredible and I think nowadays some drugstore products easily rival some high-end products. I've been testing loads of new goodies and I'm ready to report back. 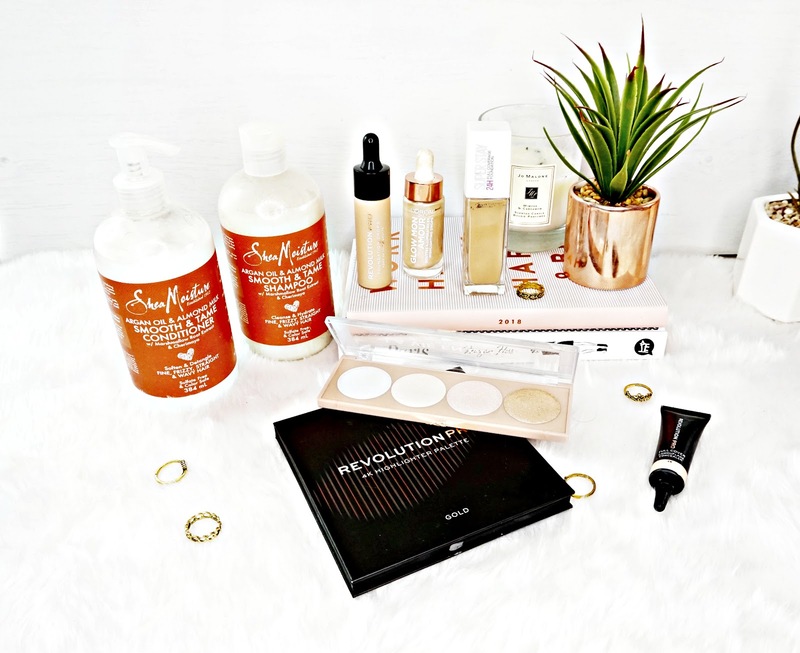 Makeup Revolution recently launched their Pro Line, given that I love their new base launches I just had to order some more of their base products. This foundation sounded right up my street. It has a water base formula that promises to be undetectable on all skin types. The formula is super watery and blends so easily onto the skin. This does have a very natural finish on the skin and looks very skin like. The coverage is light to medium. This also stays in place all day. It comes in 18 shades. I have the shade F7, which is slightly too pale for me so I've been mixing it with my NYX Pro Foundation Mixer Drops (see my review here) to darken it up. Overall, I really love this foundation and the fact this is just £7 makes this even better! Another new launch from the Pro Line is this concealer. I'm all about full coverage when it comes to concealer, my dark circles aren't playing. This concealer has a thick, creamy consistency. It has the same formula as the IT Cosmetics Bye Bye Under Eye. The formula blends out really easily too and looks really natural, given how full coverage this is. With a good setting powder creasing isn't really a problem. I can't believe how good this is for the price. This looks stunning and I was hoping this would be a dupe for the Huda Highlighter palettes or the ABH Glow Kits but unfortunatly I don't love this. It's super pigmented and looks gorgeous on the skin from a distance, but close up this doesn't look so good, it has large chunks of glitter in it. Also the kick up from these powders is insane! Even when this was on the brush and I was applying, large glitter particles where flying every where! I think you can see in the photo all the glitter fall out on the palette. Unfortunatly this is a miss for me. I believe this is reformulated again, I swear it wasn't to long ago that Maybelline reformulated the original. Anyway I didn't have any plans to buy this but there was a 3for2 offer and here I am. But I've been loving this foundation! The formula is so nice, when I first pumped this out it seemed really thick but it actually blends out really easily. The coverage is pretty full, it covers all my problem areas and pigmentation. It sits really well on my dry skin and doesn't dry out throughout the day either. I've been using this with glowy primers to give it a dewy finish but on it's own this has a natural satin finish. As for it's 24hr claims, I don't know about that. Who actually wears foundation for that long anyway? But this does last all day on me without caking up, going patchy or creasing. I'm really impressed with this! I didn't have any plans to buy this highlighter palette either, until someone said it was one of the best highlighter palettes they own. 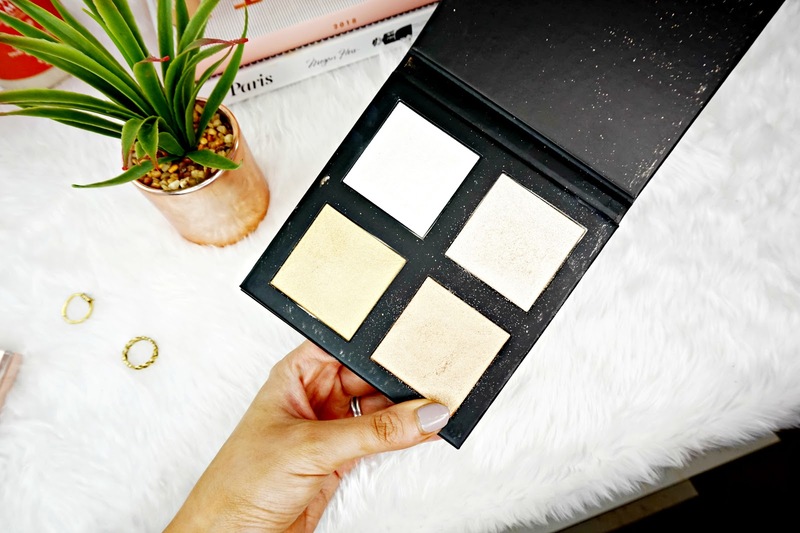 The palette houses 4 stunning highlighters. Although I really only use Two (the second one in and the last one). But that being said 2 highlighters for £12.99 is still good value for money when you think you can pay £30+ for a highend one. And boy does is the formula of these on pair with highend ones. They are so soft and pigmented! There's not one bit of glitter in any of these and they're not chunky or powderery at all. They melt into the skin seamlessly, leaving behind a gorgeous sheen. They are quite intense, but not in a blinding way They are really amazing! My love for liquid illuminators shows no signs of going away, I'm so pleased affordable brands have started making them. This offering from L'oreal is definitely a good affordable option. They blend really well over makeup without causing it to move or separate. These aren't as intense as some I've tried but I still really like them. They give the face a natural, luminous glow. And they stay in place too. I have the shade Champagne which as the name suggests is a lovely Golden Champagne colour. I think this would work well with most skin tones. But there is a darker option available too. I've been super intrigued by this brand for ages so I was super happy when these landed on my door step. I have the Argon Oil range which is one of my favourite ingredients for hydrating my hair. First of all this shampoo smells amazing! But it's not an over powering scent. The shampoo lathers really well and deeply cleanses my hair. The conditioner is wonderful. It has a rich, creamy consistency which I like in my conditioners, although this rinses really easily. Leaving my hair feeling instantly softer. Once my hair drys my frizziness is significantly reduced and my hair has a lovely shine to it. I also really love that this comes with a pump, it makes it so much easier than a regular bottle or tub. Overall, I'm really impressed with this brand! Overall, I'm really impressed with most of what I've discovered recently. Have you tried any of these? What have you discovered from the drugstore recently?